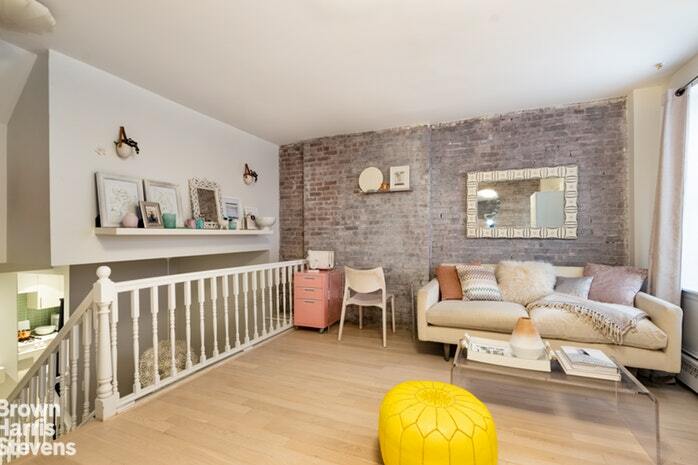 This ground level one bedroom tri-level apartment embodies Upper West Side brownstone charm, and is complete with its own private entrance. 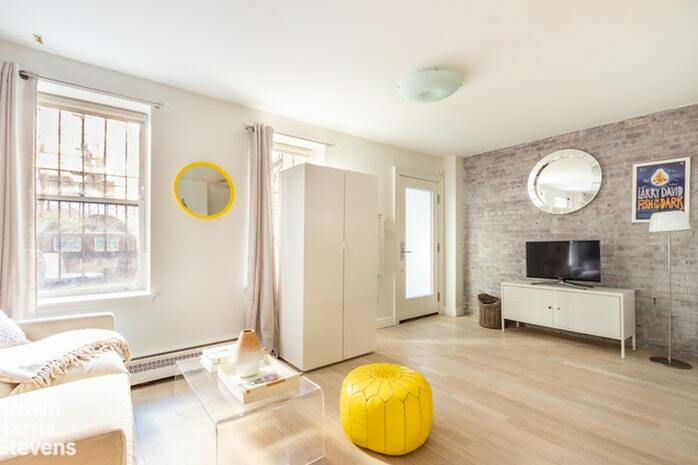 The apartment has been beautifully renovated and features beautiful exposed brick and light hardwood floors. The spacious living area occupies the top level of the apartment. 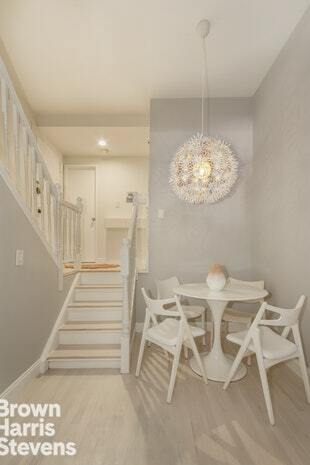 A staircase leads to a lovely kitchen with custom white lacquer cabinetry, glass tile backsplash and dishwasher. 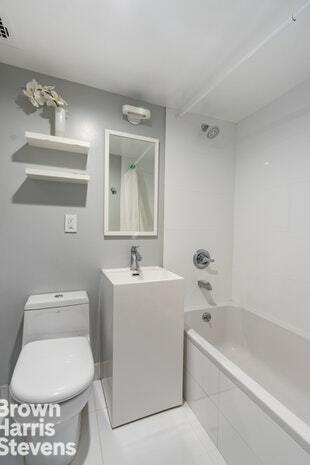 The bathroom is also on this level and has been tastefully redone with gorgeous Porcelanosa tiles. 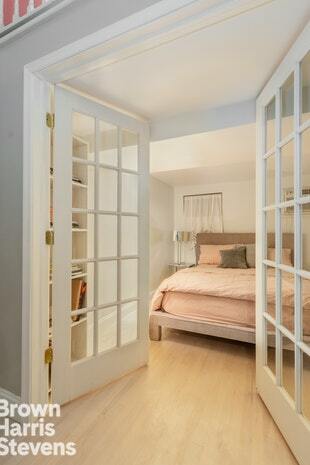 Down just a few more stairs is the dining area and cozy, quiet bedroom. 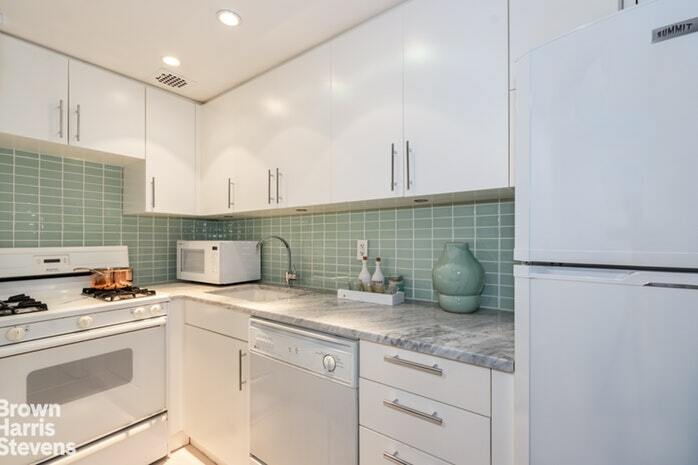 Situated on a tree-lined block in the heart of the Upper West Side, 142 West 82nd Street is a 10 unit pre-war brownstone co-op with basement laundry. 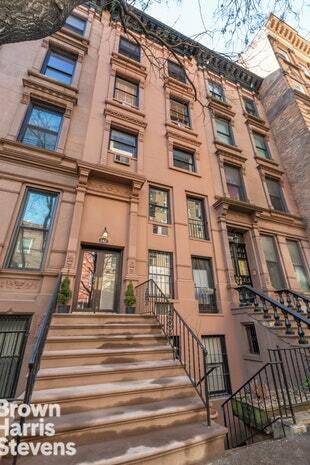 It is located just over a block from Central Park as well as the Natural History Museum and Hayden Planetarium. Nestled between Columbus and Amsterdam Avenues, the building offers immediate access to great restaurants, shops and transportation.